The State of Polarization (SOP) and Degree of Polarization (DOP) are characterized by determining the 4 Stokes parameters of light. and DOP is calculated from the Stokes parameters, I, Q, U and V (sometimes represented as S1, S2, S3, and S4). There are two ways that Hinds addresses your polarimetry needs. If you choose to build your own instrument, we can supply you with the PEMs you need to modulate polarization in your experimental set-up. We can also provide other accessories for the experiment, such as SignaLoc™ lock-in amplifiers and DET-100 signal detectors. Hinds also sells “plug and play” polarimetric instrumentation. The Dual PEM Polarimeter determines the complete SOP and DOP of incoming light with impressive speed: it is capable of making more than 100 complete polarization measurements per second. 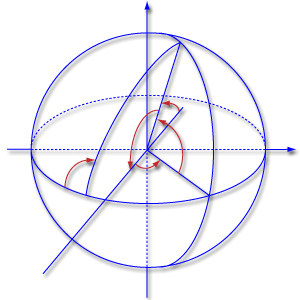 The SOP is automatically plotted on the Poincare´ sphere and the DOP is calculated as well as the Degree of Linearly Polarized Light (DOLP) and the Degree of Circularly Polarized Light (DOCP). These values are archived and their change can be monitored over time. The Hinds Polarimeter is capable of determining the DOP to 0.0005 of a Stokes vector.